Many little girls dreamed of being a ballerina, and some even got to attend ballet classes, even if they never actually progressed very far. But if you always wished that you could have taken classes, there’s no need to fret that you missed out on your dreams. Toronto has much to offer all sports and keep-fit enthusiasts. Everything from full-impact boxing lessons to adult ballet classes, you can find it here. These two opposing examples go to illustrate its big-city appeal, offering something for everybody. 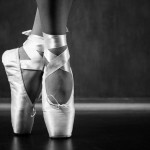 Choosing a ballet school in Toronto can seem like an overwhelming task. With so many to choose from, it can be hard to know how to start whittling them down. Following is a list of five qualities to consider when choosing the right school for you.